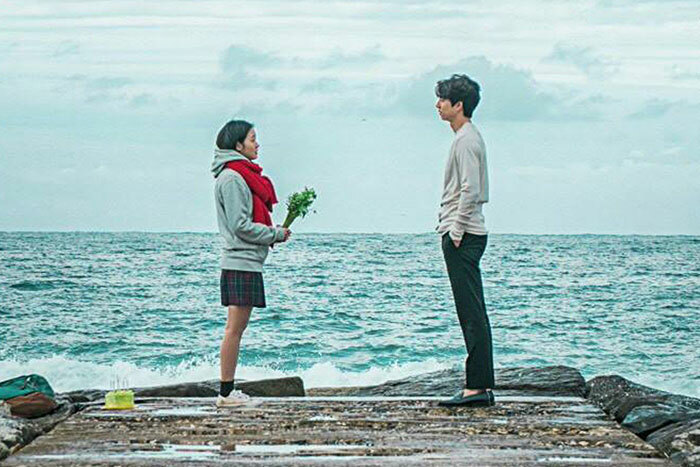 What goes through the mind of one Christian woman as she watches popular K-drama Goblin. WARNING: MANY, MANY SPOILERS AHEAD. When other women watch Korean dramas, they probably fantasize about the lead actor being their boyfriend/husband. Goblin is probably the most popular Korean drama since Descendants Of The Sun (DOTS), being written by the same scriptwriter. It probably helps that it stars two good-looking Korean actors, Gong Yoo and Lee Wong Dook. Let’s backtrack and tell you the story (IF you intend to watch the series, you might want to not read further). The Goblin’s bride was a foetus when she “met” the Goblin. Her mother had been knocked down by a car and lay dying in the snow. She cried to the heavens begging for someone to save her and her unborn child. The Goblin, a semi-deity who has been alive for 900 years, was drunk and in a good mood that night, so he reached out to the dying woman and extended her life. This action causes the child, who was not even supposed to be born, to become the Goblin’s bride. Eun Tak grows up the archetypal “weird girl” who can see ghosts. Shunned by the other girls in school, ghosts become her “friends” and they tell her that she was the Goblin’s bride as she bears his mark on her back. Eun Tak accepts that it is her destiny and when she finally meets the Goblin, she guilelessly announces to him that she is his bride. Eun Tak suffers a terrible life under a cruel aunt after her mother’s death when she is 9. Her life is turned around at the age of 19 when she meets the Goblin. Doesn’t this sound familiar? Many of us used to lead hopeless and terrible lives until we met our Savior, our King. Eun Tak’s change in fortune reminds me of my life after I met Christ. The way she looks at the Goblin reflects just how I feel each time I think of Jesus. Critics of the show say that Eun Tak’s life was a typical “Cinderella story”: a young girl clinging on to a rich, older man for survival. I feel it’s even more reflective of the Salvation story—Jesus inviting us to cling on to Him for abundant life. The Goblin loves Eun Tak back. But, as Korean drama formulas go, he has to act like he doesn’t love her and has to stay away from her for her own good. But in the end, the Goblin sacrifices himself so Eun Tak can live. This leads me to how Eun Tak summons the Goblin: she blows out the candle and he appears. There is one time after he comes back to life that she wakes up from sleep panicking, thinking his return was all a dream. She summons the Goblin and he tells her that he will always be there, he’s not going anywhere. Awwww… Jesus also said He will never leave us or forsake us. He is our portion in Heaven, our Fortress, our Shield. I can’t believe that a K-drama made me fall in love with Jesus all over again. Goblin: The Great And Lonely God (16 episodes) is available on the Viu app. Jesus is available without an app or blowing out a candle.